Effective immediately, Matt Ruszkowski has been named president and chief operating officer of Carleton, a provider of compliant consumer loan calculations and lending document generation software. A company news release indicated Ruszkowski will lead Carleton’s experienced executive leadership team toward continued growth and the introduction of new software and services in the lending industry. “It was important that the next Carleton President demonstrated leadership and our core company values in how he interacts with employees, prospects and clients. Matt’s leadership has continually exhibited these core values, and he understands the unique market value of our products and expertise in today’s financial services marketplace,” said Pat Ruszkowski, Carleton’s chief executive officer. 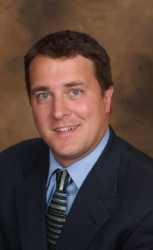 Matt Ruszkowski has worked in the consumer lending industry for the last 18 years. His business background includes new business development, sales, operations management, and customer and product support. He also led the company’s effort in establishing an automated operational framework which resulted in streamlined client support, enhanced sales and production management, and SOC2 audit compliance. “Carleton has undergone continuous growth and successfully built upon its decades of experience in the lending industry with more than 150 integrated platform clients,” Pat Ruszkowski said. “Matt has been a key part of our success over the last five years. This management change will assure Carleton continues its substantial momentum and retains its position as an industry leader. I am very excited about our future,” Ruszkowski concluded.